Our Punter of the Week is BL, from Melbourne, who made early use of our Autumn Carnival Promotions to net almost $9,000 with a winning exotic bet on the Australian Guineas at Flemington on Saturday. Siding with the two favourites, Cliff’s Edge and Grunt, alongside 25/1 poke Villermont for first place, our punter also included up to eight individual runners for the two minor place slots for a total outlay of $720 (applying a $10 unit stake to his 72 separate bets). With Cliff’s Edge adopting his customary front running role and stringing the field out from around the 1000m mark, our punter eventually had to switch allegiances halfway down the straight as the Darren Weir-trained runner started to fatigue; instead, Grunt ($5.50) under the urgings of Damien Oliver, emerged with a powerful run to strike the lead and beat off both Peaceful State ($8.50) and Bring Me Roses ($21) who were included amongst his combinations. With the final UBET dividend settling at a healthy $891.70, our punter’s $720 investment had netted him a cool $8,917 for his troubles! 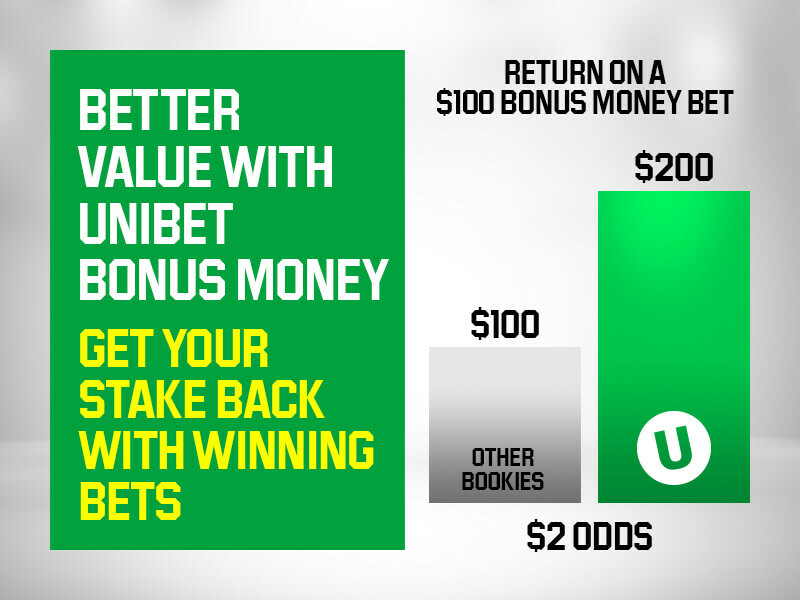 Indeed, BL was one of hundreds of Unibet customers to have benefitted from our Best Tote Exotics campaign, under which we will honour the highest Tote dividend for all exotic bets on Group and Listed gallops races in Sydney and Melbourne throughout the autumn (as opposed to our standard Vic TAB return on exotic bets). In this instance, with the trifecta only paying $720.30 in Victoria, our punter was more than $1,700 better off than he would normally have been.